At Inapak, we understand the importance of having in store displays assembled properly to showcase your product and make the best impact with your customized displays. Assembling your displays correctly and showcasing your products efficiently will make a huge difference at POP (Point of Purchase). At Inapak, we provide in store merchandising and display assembly services at retail level, where we can send our team to set-up in store displays or we can also assemble and fill them with product at our warehouse and ship them out ready to be placed on the floor. This option saves the retailers time and makes the display more likely to be used. At Inapak we have the experience and understanding of the impact that your customized displays can make at retail. And because product needs to be replenished all the time, we also create a customized program to ship and fill refills for displays. 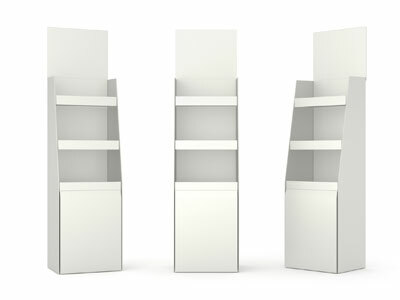 Save time and money by having our experienced team assemble your displays in store or at our warehouse. By shipping your displays assembled and filled with product to store, the likelihood of placing your display on floor is higher. Never miss a sale again, we put a plan together for you to refill those customized displays and make sure that your product is always available for you customer to purchase.